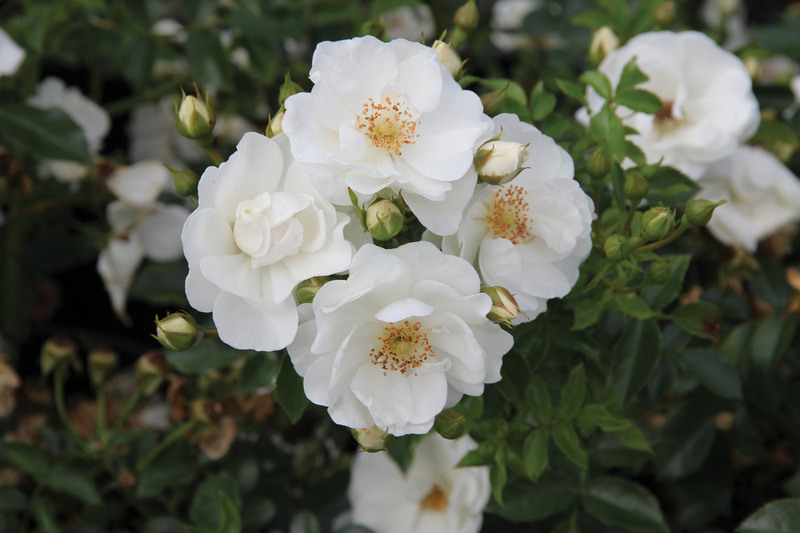 Rosa ‘Innocencia Vigorosa’ | J.C. Bakker & Sons Ltd. Very profuse first flowerage, less profuse in the next. An ideal robust floribunda for many applications. Will bloom recurrently. Disease resistant. SKU: 91650102. Categories: Roses, Vigorosa Series. Tags: Innocencia, Rosa, Vigorosa.